Is a new Dune movie coming? Dune by author Frank Herbert was undoubtedly one of the biggest novels of the 60’s, as this sci-fi best-seller is one of the most talked about books of the genre and has something of a cult following too. The same can be said of its 1984 movie adaptation, despite the fact that it’s hard to argue that David Lynch’s film was actually a good piece of moviemaking… Actually, some critics thought the movie was something of an incomprehensible mess, despite featuring the usual powerful Lynch imagery and some good performances and special effects. Also, given Dune’s popularity it’s not surprising that video games based on the book and movie have also hit the market, the standout of which being Westwood Studios’ classic Dune II: Battle for Arrakis game, which single-handedly launched the real-time strategy genre of video games and is therefore a rather important game. But despite there already being a movie, video games and several books available, it is likely that Dune fans have been longing for a new movie adaptation of Frank Herbert’s classic book, especially taking into account that remakes of other popular sci-fi movies like Total Recall and Robocop have been released in the last couple of years and have been well-received by audiences worldwide. 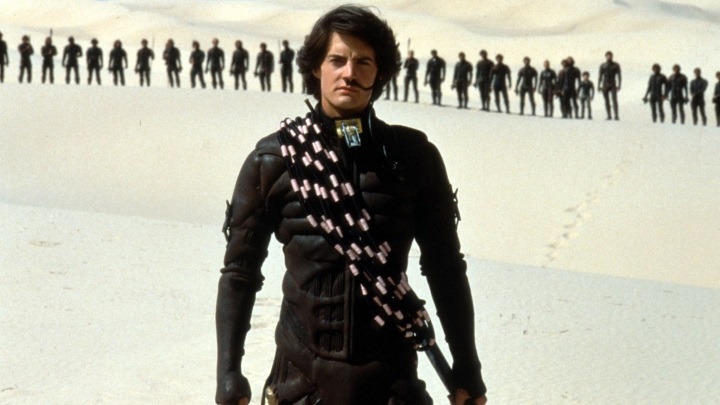 So it is likely that many greeted the news that US media company Legendary had bought film and TV rights to Herbert’s book last November (as reported on The Hollywood Reporter), meaning a new Dune movie might be hitting the silver screen in the near future. Director Denis Villeneuve, who caused a sensation in 2016 with his intelligent sci-fi flick Arrival, might be helming this movie, which is certainly good news, especially if he is able to bring that same magic to a Dune reboot. Villeneuve is also currently directing Blade Runner 2049, a sequel to the 1982 sci-fi classic which is slated for release in late 2017, meaning that this might end up being a year to remember for sci-fi fans the world over, especially if both it and the possible Dune film end up being solid sci-fi movie releases this year. Was Dead or Alive Xtreme 3 the most controversial game of 2016?